A year ago today the world waited in eager anticipation for his royal highness's arrival at Lindo Wing, alas now Prince George of Cambridge is turning one! To mark Prince George's first Birthday today, Buckingham Palace has released three exclusive images of Prince George with his parents Prince William and Kate Middleton at the Natural History Museum, of which the Duchess is a patron. Prince William released a statement earlier today saying, "we would like to take this opportunity on George’s first birthday to thank everyone over the last year, wherever we have met them, both at home and overseas, for their warm and generous good wishes to George and our family". It has certainly been an exciting year for the little Prince from his royal christening to his first royal tour, here we take a look back at the Prince George's cutest moments! 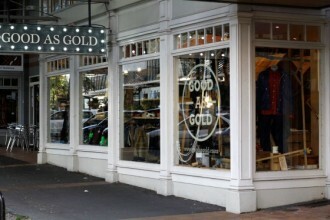 Good As Gold – the cult streetwear store in Wellington that also goes by GAG – is to open their second store in Auckland….